Erin has been with Phillips Financial for over eight years and specializes in the implementation and servicing of all employee benefits, with a concentration on qualified retirement plans. 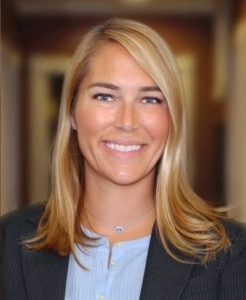 Erin serves as the “quarterback” for her 401(k) and 403(b) clients by being the central contact for all service-related retirement plan inquiries. She also works with clients to design the retirement plan that best fits the needs and long term goals of both the employer and employee. Erin graduated from Indiana University’s Kelley School of business in 2003 with a Bachelor of Science degree in Business. She has earned the Accredited Investment Fiduciary (AIF)* designation, which focuses on helping plan sponsors meet their fiduciary needs. Erin currently lives in Columbia City with her husband Jesse and daughters Avery and Lyla. Erin enjoys her time with family and friends, reading, photography, participating in Zumba® at her local YMCA, and spending time outdoors.